The company will now cater to a wide base of clients in Hoboken by delivering affordable wedding videography and photography services. New Jersey Videography, the leading wedding photography and videography services providing company has set up its new branch in Hoboken (New Jersey, 221 River Street). With this move, the company is looking to cater to the growing market for wedding and events videography and photography in New Jersey. It must be noted that New Jersey Videography offers a comprehensive range of videography services including wedding videos, digital cinematography, motion graphic design, video editing, Indian Wedding Videography, animation etc. The company is renowned for covering different styles of wedding events and ceremonies including Classic, Modern, Vintage, Seasonal, Adventure and Cultural and other types of wedding events. New Jersey Videography also offers multiple wedding videography and photography packages to its clients that are available in the range of $1995 to$4,995. The company uses professional HD cameras for all their shoots and photography. All their videos and photographs are edited by certified editors. New Jersey Videography also offers Same Day Edit services to its clients. As part of this service, the company creates a short movie using the footage captured during the wedding ceremonies and event. The company also creates exceptional videos and photo albums by reinventing wedding photography and videography styles and methods. Apart from videography and photography services, New Jersey Videography also offers film making and storytelling services. The company uses best in class equipments and Hollywood’s latest videography technologies for capturing videos and offering outstanding cinematography and animation services. The team at New Jersey Videography also stresses on creating unique storyboards for capturing beautiful wedding stories and videos. Their professional and trained videographers, photographers and editors use advanced and innovative equipments for creating memorable wedding visuals and videos for their clients. Their team is adequately trained to capture all the special moments of a wedding event and related ceremonies. As reputed and professional photographers and videographers, they focus on expressions and emotions to create unforgettable wedding stories and pictures. The company also covers other major events such as anniversaries, birthday parties, BAR/BAT Mitzvahs etc. Clients searching for ace photography and videography services turn to New Jersey Videography for their wide variety of digital photography services and affordable videography/photography packages. Their team has also covered wedding events, birthday parties and anniversaries at some of the major locations including Doolan's Shore Club, Empire Club, English Manor, IL Tulipano, IL Villaggio, HighLawn Pavilion, Knoll East Golf Course, Mayfair Farms and Plesantdale Chateau. For more information about New Jersey Videography or to avail their packages visit https://www.newjerseyvideography.com/! New Jersey Videography was established by Alex Perelmuter to offer outstanding videos, cinematography and photography services. Perelmuter, a professional and experienced wedding cinematographer was always passionate about creating wedding films. As a result, he set up the company in 2005. 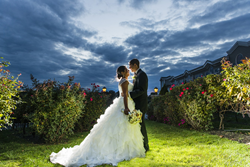 Today, New Jersey Videography offer wedding photography, cinematography and videography services in some of the major cities including New Jersey, Pennsylvania, Hamptons, New York, Tri-State area and Long Island.